Have I accumulated enough money to live for the rest of their life without working? Will I make a financial mistake from which I can never recover? Can I be as financially independent ten or twenty years after retirement as I am today? 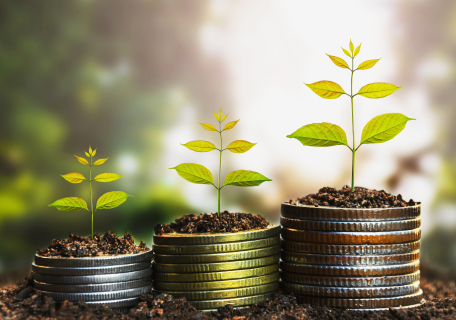 To help address these questions, STEVE ROBBINS, CFP® and his team provide investment and distribution strategies designed to encourage growth, preserve wealth, and help create streams of income to last throughout your retirement years. If you expect to live 25 to 30 years in retirement and inflation averages 4 or 5%, then you will need to triple or quadruple your income over your retirement lifetime to maintain equal purchasing power. A retirement income plan can help address this by evaluating your overall financial situation and providing recommendations to help reach your goals. For a listing of financial data needed in order to create your retirement income plan, click here. To request a free copy of our Retirement Readiness Checklist, call Lisa at (314) 839-4600 or email Lisa@SteveRobbinsOnline.com. The Steve Robbins team focus is on serving those pre-retirees and retirees with investable assets from CDs, IRAs, 401(K)s or other company retirement plans. Call us at (314) 839-4600 for a no cost, no obligation review to determine if your current investments are in line with your goals, income needs and expectations. STEVE ROBBINS, CFP® is proud to be a fee-only financial planning and wealth management firm. Our fee is figured as a percentage of assets under our management and ranges from 0.62% - 2.00% annually based on account size. For a listing of the services we provide that are inclusive of this annual fee, visit the 50 Things We Do page of this site. We have no financial planning account minimums. We work with everyone who has the desire to improve their financial situation and begin or customize a savings plan toward reaching their retirement or other financial goals. Unlike many other advisors, we do not have any minimum required contract period. Essentially fees are paid based on the number of days we provide management. There is no fee or other cost to begin. We've set it up this way so that we never forget that we must earn your business each day. For a copy of our company Form ADV Part 2, which discloses current business practices and our detailed fee schedule, email Info@SteveRobbinsOnline.com.